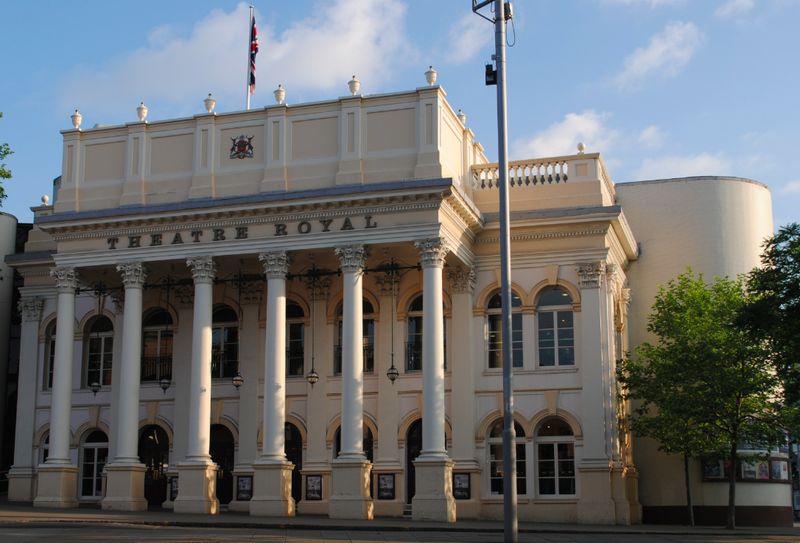 Located on Upper Parliament Street in Nottingham is the Theatre Royal. The Theatre was built in 1865 and was designed by the English architect Charles John Phipps. The stucco facade features a corinthian portico with dentillated cornice, engaged corinthian pilasters on plinths and is two storeys high. The building was restored in 1976 with the front facade remaining intact. The building is Grade II Listed.